Mandarin Gardens is one of the most sought after condominiums along East Coast despite its old age of almost 20 years. Each unit is well spaced out with large balconies which some of them faces the sea. Most expats prefer fully renovated units. It is near the East Coast beach, seafood restaurants, Parkway Parade Mall and eating outlets. There is a underpass behind the condominium which leads residents directly to East Coast Park. Amenities such as supermarkets, food centres and shops can be found at the nearby Siglap Centre and are within walking distance. Driving to the city takes around 10 minutes and it is 5 minutes drive to the Changi International Airport. East Coast living lifestyle with very convenience in public transport and amenities. Close to East Coast Park, Airport, Parway Parade, good schools. 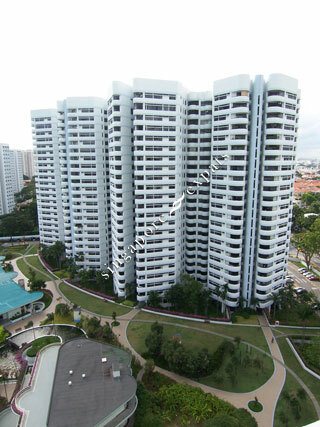 Mandarin Gardens is a highly sought after condominium along the East Coast of Singapore. Despite its quarter century of existence, the lustre of the estate never fades. Each unit is well spaced out with large balconies which some of them faces the sea. Located near the East Coast beach, seafood restaurants, Parkway Parade Mall and eating outlets. There is a underpass behind the condominium which leads residents directly to East Coast Park. Supermarkets, food centres and shops can be found at the nearby Siglap Centre and are within walking distance. Driving to the city takes around 10 minutes and it is a 5 minute drive to the Changi International Airport. Mandarin Gardens is a 99-years leasehold development located at 1 Siglap Road 448906 in District 15 near Kembangan MRT and Eunos MRT Stations. Completed in 1986, it comprises 1000 units. Located nearby is East Coast Park, East Shore Hospital and Marine Parade Polyclinc. Mandarin Gardens is one of the most sought after condominiums along East Coast despite its old age of almost 20 years. Each unit is well spaced out with large balconies which some of them faces the sea. Estate is old, and while it is well maintained, its age still shows. There are "no pets" signs everywhere. The unit we rented is extremely dirty, none of the sliding glass doors or windows work, and the entire place is always dusty and smells mouldy. Fantastic condominium, great facilities and location. Love it for 19 years here! Close proximity with 5 mins walk to East Coast Park, cycling, sea swimming, water sports are right at the door step, perfect location! Great facilities including a Cold Storage right in the estate!